973 Set of 52 brass spring clip leads weighing 3 oz. 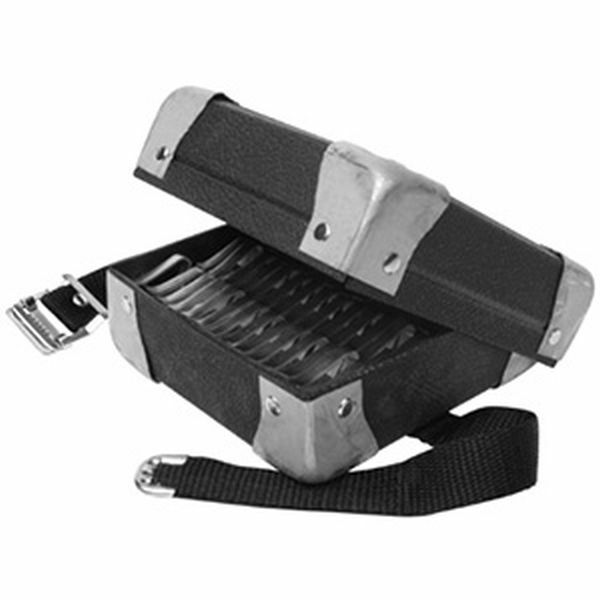 each, comes with a reinforced fiberboard case with straps that measures 6-1/2" square. These leads, which fit over the backchecks, replace the weight of the grand action when the keyboard is removed for key leveling.